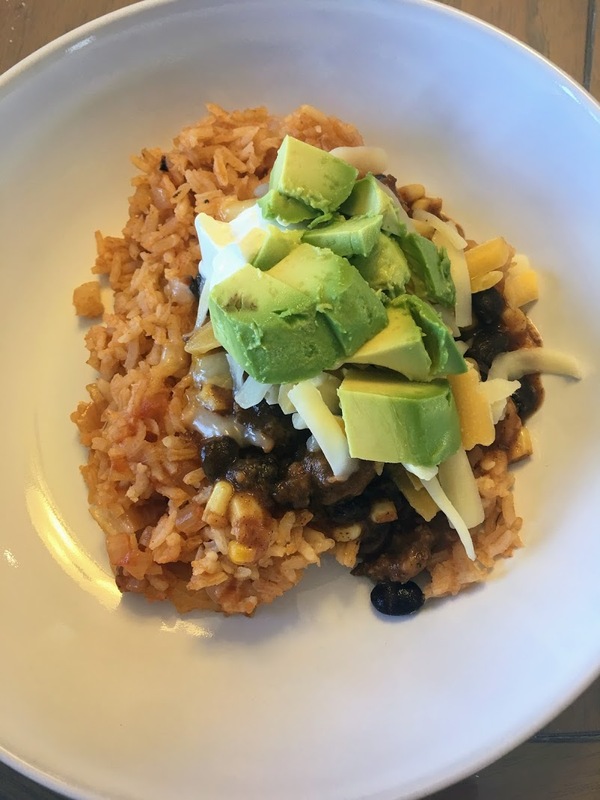 It’s surprisingly difficult to find a good version of Mexican rice that either isn’t incredibly spicy or take forever to make. I recently went through Joanna Gaines new cookbook, Magnolia Table, and bookmarked a slew of recipes one of which was this one. Both boys (really all three ;)) gobbled this up, and I’m back to the blog so I can document this one and have it readily available for next time! Heat the oil over medium heat in a large saucepan. Add the rice and saute, stirring, until lightly browned (about 10 min.). Add the cumin and cook for 30 seconds. Then add the onion and garlic, stirring often until softened (about 5 min.). Add tomato sauce, chicken broth, and salt and pepper. Bring to a boil, stir once, cover, and reduce the heat to simmer for 20 minutes. Remove pan from the heat and let it stand still covered for 10 minutes. Fluff the rice with a fork and sprinkle with cilantro/parsley. *Updated 8/23/16 to reflect using an entire box of pasta which is how we traditionally prepare it! This is one of those recipes that has been made 800 times by your family. So when my friend alerted me it wasn’t on the blog, it finally warranted me getting out of my year and 1/2 long slump of not posting. I’m not sure anyone is still out there; however, I have missed having the new recipes we’ve enjoyed in an easily accessible location! We have an amazing reason for being absent and trying fewer recipes. It’s been a busy time, but that fantastic reason is that we have an almost one year old son!!! This is the baked mac and cheese recipe we go back to time and time again. Hope you all enjoy it as much as we do! Preheat oven to 300 degrees. Spray a 2 qt. casserole dish with non-stick cooking spray. Cook pasta per manufacturer’s directions for al dente. Drain pasta and return to the pot. Stir butter into pasta until melted. Add 6 cups of the cheese, milk, salt and pepper. Pour into casserole dish. Bake 30 minutes. Sprinkle remaining 1/4 cup of cheese and chips or croutons and broil for one minute or until brown on top. Slightly adapted from a recipe my mom has been making for years…I will update with the cookbook source next time I’m home! Another Cook’s Illustrated winner. This was a recipe I had been searching for since we moved. 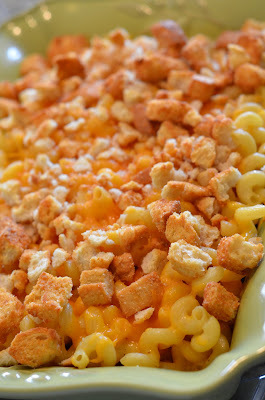 I always find side dishes the biggest challenge, because you want something easy that doesn’t take forever to prepare. These fit the bill, and with that crispy exterior I love, will easily become a go-to option for us! 1. Bring the potatoes, broth, lemon juice, smashed garlic clove, and 1/4 tsp. salt to a simmer in a 10-inch nonstick skillet over high heat. Reduce the heat to medium-low, cover, and cook until the potatoes are just tender, 12 to 15 minutes. 2. Uncover, increase heat to medium, and cook, stirring occasionally, until the liquid has evaporated, about 5 minutes. Remove and discard the smashed garlic clove and add the oil to the pan. Arrange all the potatoes cut side down and continue to cook until deep golden brown, about 5 minutes longer. 3. Transfer the potatoes to a bowl and gently toss with the lemon zest, minced garlic, and parsley. Season with salt and pepper to taste and enjoy! For Corrie’s birthday this year, we went down to Keeneland to meet up with Knoxville friends (who just got moved to Detroit ergo way closer to us – exciting! ), watch some ponies, and fulfill his quest for Pappy Van Winkle. I think an excellent birthday all in all. 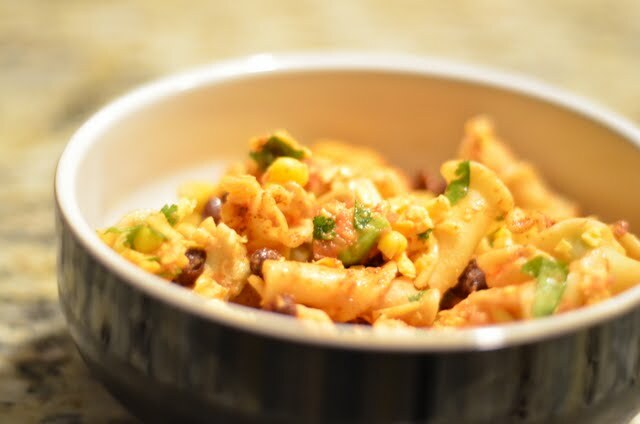 Last year, yeah, I have quite a backlog of recipes we make all the time that need to find their way up onto this little blog, I made this as one of several side dishes when Corrie’s family came out to celebrate his birthday and see our new house. It worked out perfectly, some yummy freshness and veggies to add to our pulled pork, pulled chicken, homemade mac and cheese, biscuits, and Monya’s favorite – baked fried pickles! 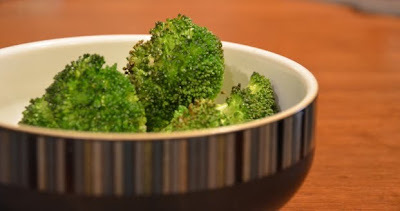 Cut broccoli into small florets (you can also cut down and use some of the stem if you’d like too). 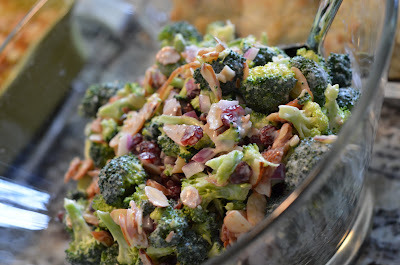 Combine broccoli, almonds, cranberries, and red onion in a large bowl. In a small bowl, whisk together dressing ingredients. Add dressing to the broccoli mixture; you may not need all the dressing, but I used it all. Mix well and check for seasoning adding more salt and pepper, if needed. Side dishes are not my specialty. I am usually good about planning and making the main meal, and then when it’s essentially time to sit down and eat I go, oh!, we probably wanted a side dish. One night I actually thought ahead and remedied this with this potato salad which is reminiscent of a loaded baked potato (or vegetarian baked potato if you leave the bacon out!). Obviously full of yummy flavors, my only change could be to add maybe a touch of white wine vinegar or dijon mustard (or possibly both) to add an extra layer of interest. I’ve suggested these below in case you try it! In a medium bowl, whisk together the mayonnaise and sour cream (and vinegar or dijon if using). Add 3/4 of the chopped chives, salt, and pepper, and stir to combine. Then add in the cheese and bacon. Cover and chill for thirty minutes. Peel and cube the potatoes into 1/2″ pieces. Cook the potatoes in salted water until fork tender. Drain and cool slightly. Fold the cooked potatoes into the chilled dressing. Serve warm or chilled. Garnish with the remaining chives. Boil macaroni and add 1 Tablespoon salt to water while boiling, cook until nearly tender, about 5 minutes. Drain and rinse in cold water, keep macaroni wet. Toss macaroni in a large bowl with in onion, celery, parsley, lemon juice, mustard, garlic powder and cayenne and let sit for at least 2 minutes. Add mayonaise and let sit until no longer watery. Season with salt and pepper to taste. Refrigerate for at least one hour before serving. 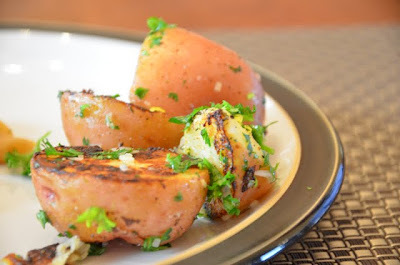 When my parents came to visit this fall, I made chicken and beef gyros, a greek salad, and these yummy potatoes. Although I never got around to posting the recipe, I haven’t stopped thinking about these potatoes, so I’m actually making them again tonight! Whisk olive oil, lemon juice, shallots, garlic, oregano, and parsley in a medium bowl to blend; season with salt and pepper. Toss potatoes with vinaigrette on a heavy, large, rimmed baking sheet. Season potatoes with salt and pepper. Roast potatoes until tender and golden brown, turning occasionally, about 45 minutes. As I’ve mentioned, I love cucumbers, and I love dill so when I saw Ina make this one day I was immediately sold. I did make a couple changes to the recipe, but I’ve left it untouched below, because this is really more a salad to adjust based on your preferences more than anything else. For example, although I do like them now, I’m still not a huge in-your-face onion person, so I used less red onion as well as made less “dressing” using less yogurt and and sour cream than the recipe calls for. I also had reduced the overall size of the recipe thinking how would Corrie, who is just starting to voluntarily eat cucumbers, and I finish an enormous amount of this salad. Well, that was a mistake. It was gone in an evening. Guess it’s time to be made again! Mix the cucumbers, red onions, and 1 1/2 tablespoons of salt in a bowl. Pour them into a colander and suspend it over a bowl. Wrap the bowl and colander with plastic wrap, and place in the refrigerator to drain for at least 4 hours or overnight. Discard the liquid that collects in the bowl. Pour the yogurt into a sieve lined with a paper towel and suspend it over another bowl. Wrap the bowl and sieve in plastic wrap and refrigerate for at least 4 hours or overnight. Discard the liquid that collects in the second bowl. When the cucumbers are ready, roll them up in paper towels or a kitchen towel and press the towel lightly to remove most of the liquid. Place the cucumbers and yogurt in a large bowl with the sour cream, vinegar, dill, 2 teaspoons salt, and the pepper. Toss well and refrigerate for a few hours to allow the flavors to blend. Sprinkle with 1/2 teaspoon salt and 1/2 teaspoon pepper and serve chilled.